Great news have just received my great grandfathers victory medal as it was not issued. My grandfather's BWM arrived from the MOD this morning, without this forum I wouldn't have had a clue about it...thanks to everybody!!!! I've posted on another topic - see link - where it has been asserted that MOD have changed established policy and wil issue previously unissued ( not only returned) WW1 campaign medals. See reply to my query below. I found this thread whilst researching the subject and wondered if anyone has knowledge of the current situation? My wife's great-uncle was killed in 1917. His BWM and Victory Medals were issued, but then stolen, recovered (offender charged) and returned to the Medal Office. All of this is documented within his service papers, including an acknowledgement of receipt by the Medal Office. There are no annotations to the Medal Roll nor the Medal Index Card. The family did not get the medals re-issued, so what are our chances of getting them re-issued to NOK? It’ll cost nothing to apply so I’d give it a go with a covering letter and copy documents. Apply with all the copied correspondence proving they were returned. One last word of warning. When the medals arrive you need to sign a declaration saying you will not sell them, if you do sell them you can be prosecuted. This is an interesting point. I am sure nobody in possession of a newly issued set would offer them for sale. Though at some point such is life some may come onto the collector market. How would a collector be able to spot a new issue, how do they compare to the original issue, are they identical for example is the BWM made of silver? I’m not sure about WW1 Campaign Medals but WW2 Medals are delivered in individual “smart” medal boxes - a big change from the one small cardboard box used to deliver all “original” issue medals to demobilised service personnel 70 years ago. Yes the ww1 medals come in the same black boxes. Very nice indeed. How does this work for Merchant Mariners? I have a friend whose great uncle died aboard the Grimsby Trawler Cheshire when it hit a mine. He would have been entitled to BWM and Mercantile Marine medal, there is no record of them ever having been claimed - should we try to claim at least the BWM? Tried ringing them on the number Barry gave to be told "We don't deal with ww1 medals" so will just send the form in and see what occurs. Sent form and supporting info off to the MOD Medal Office a couple of weeks ago. A letter has come back saying that the MOD Medal Office isn't able to assess claims for merchant seamen BUT they have kindly forwarded it to the Maritime and Coastguard Agency (Cardiff). So fingers remain firmly crossed! 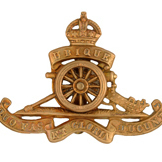 Does this apply to the Silver War Badge? My Grandfather was discharged after 54 days, being no longer fit for military service with no SWB issued. Youll never know until you apply but I’ve not heard of any successful applications. Current policy change is in relation to issued medals that were returned to MOD - for various reasons - and not subsequently reissued. I've not read the whole topic for a long while but I don’t think the change applies to officers medals - which like SWB for persons discharged early in the war - had to be claimed. Just had the reply from the Maritime Agency. They are no longer issuing ww1 medals and claim that no more will be struck as the Royal Mint has destroyed the dies. Did put that in the email, so you never know. I emailed the Royal Mint asking about remaining stocks of the Mercantile Marine medal and the statement from the Maritime & Coastguard Agency's Medal Office that the dies had been destroyed and their reply received this morning is below. Consequently a new email will be sent to the MCA. The medals under discussion were BWM and MMM. "To answer your question is short. If the MoD came to ourselves for an order for any of the medals below, they could be made. If dies are no longer available, they would be remade. Obviously, there would be a cost involved in this but again, that would be a matter between your friend and the MoD Medal Office." ....I’m sure that the Royal Mint would be ready and willing to produce any new dies required should either organisation order them but RSS will not be doing so in the foreseeable future." Looks like we shall have to go down the replica route after all (did think of writing to the MPs whose constituencies are relevant but suspect that would just be a waste of everyone's time).